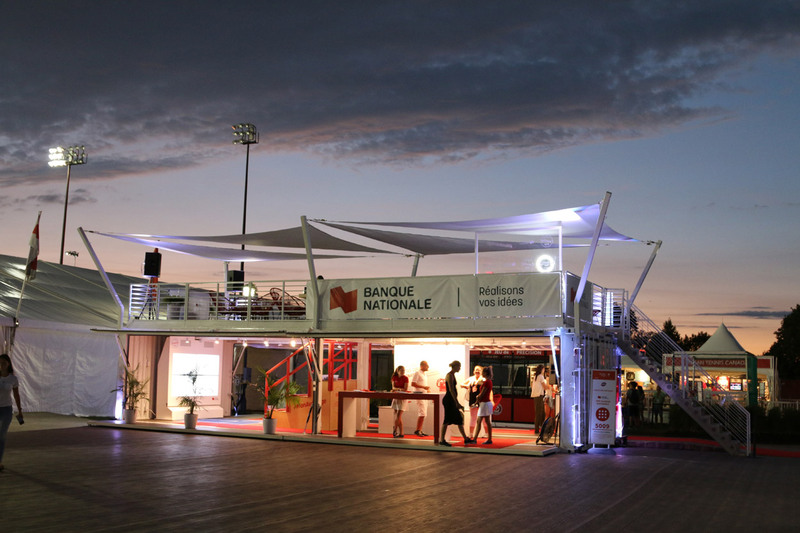 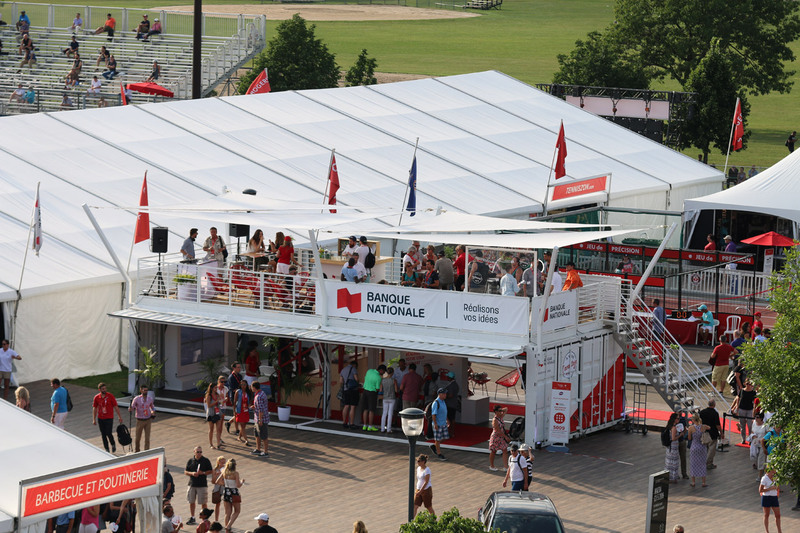 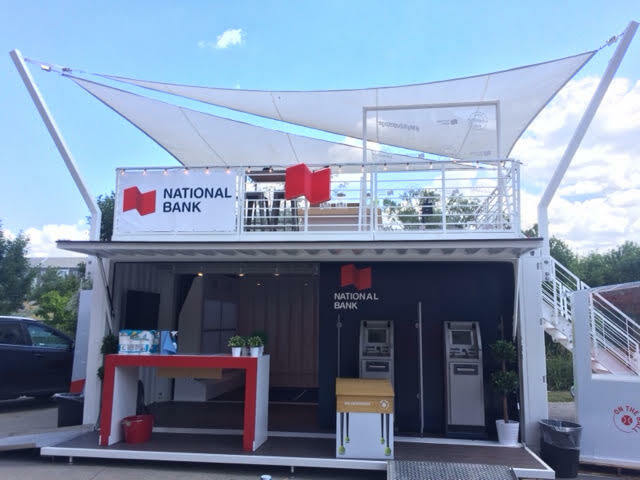 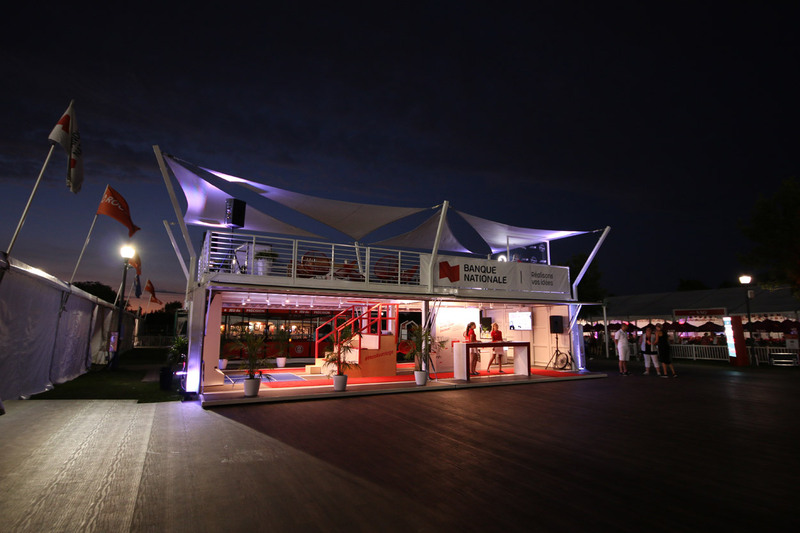 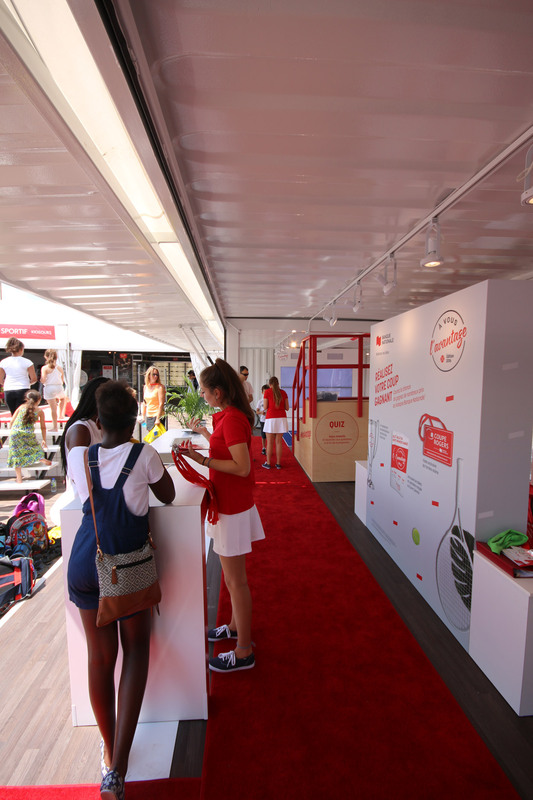 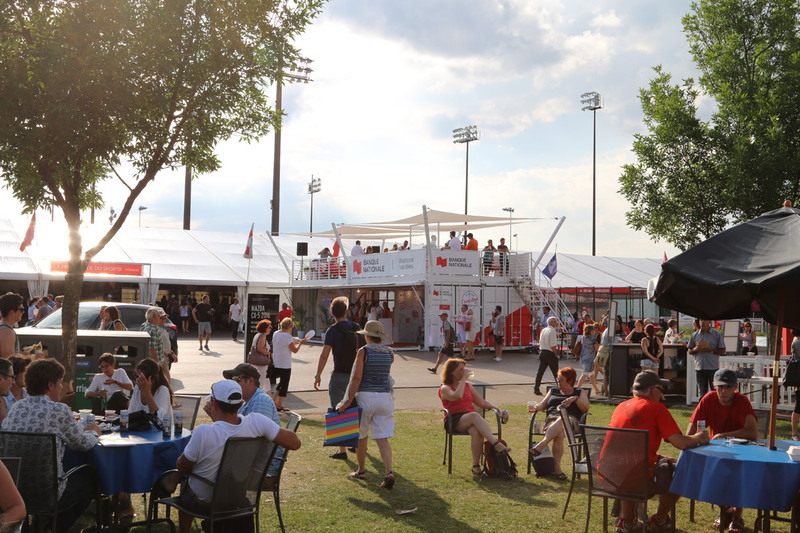 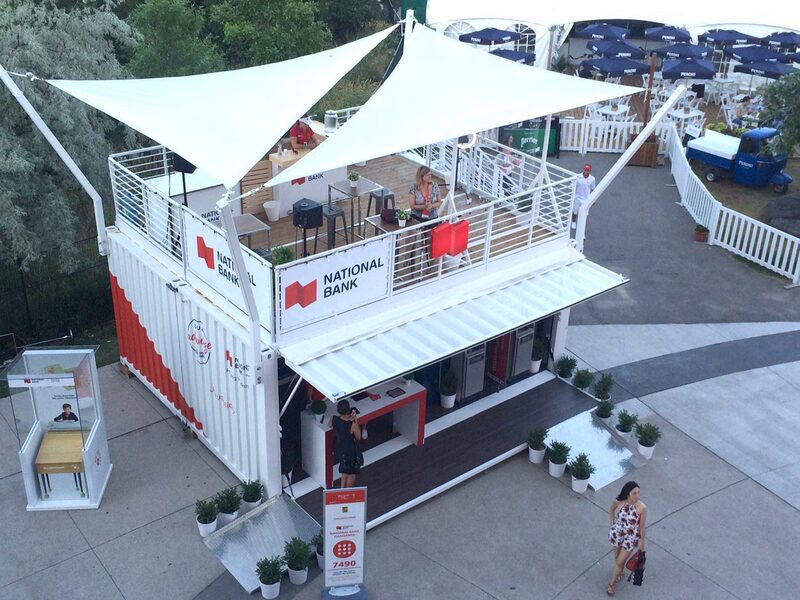 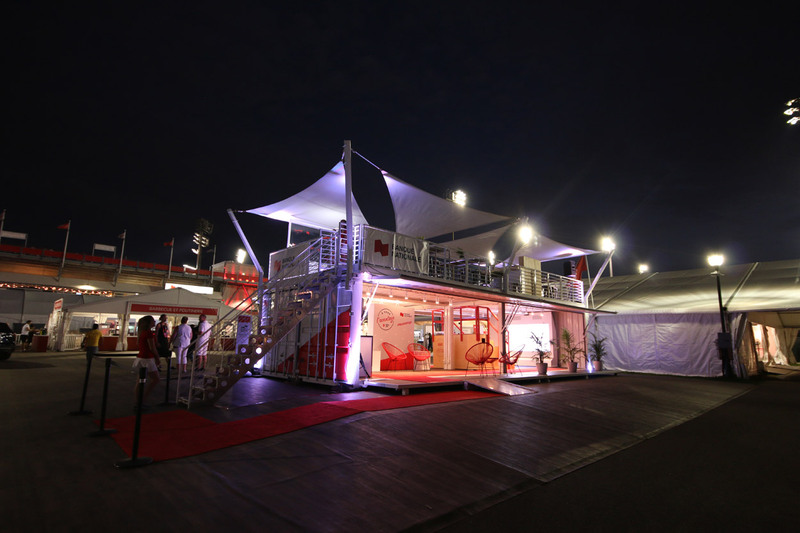 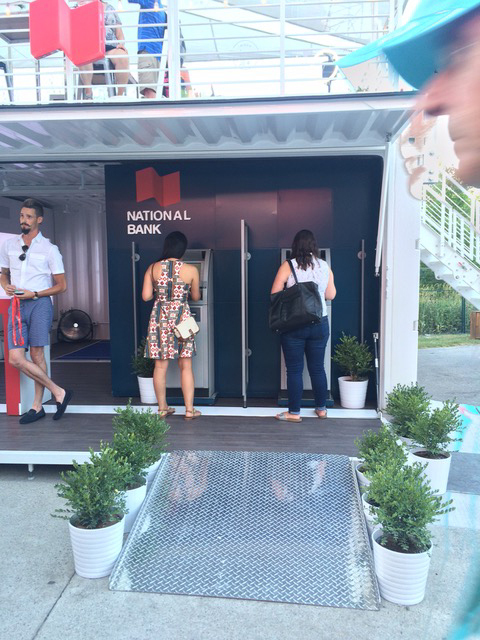 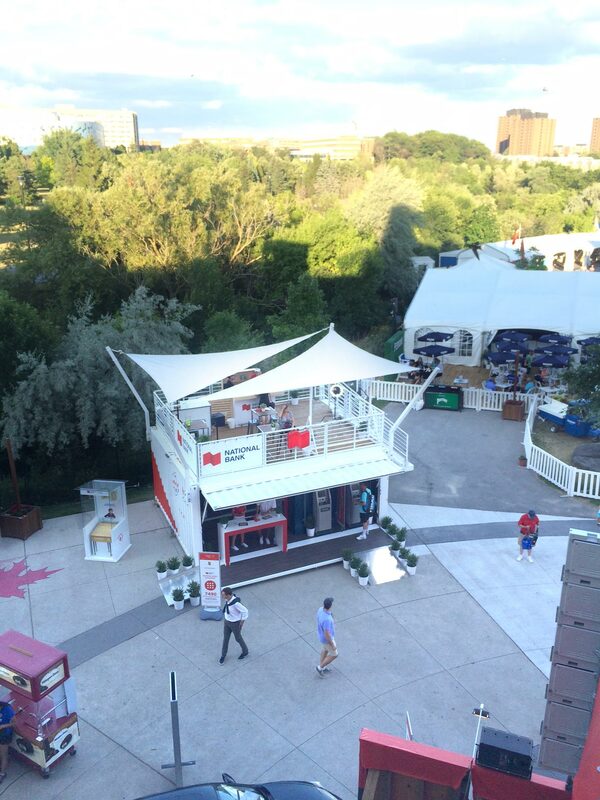 As a major sponsor of the Rogers Cup, National Bank supports both the men’s ATP and the women’s WTA tennis tours, which took place at separate locations in Montreal and Toronto. 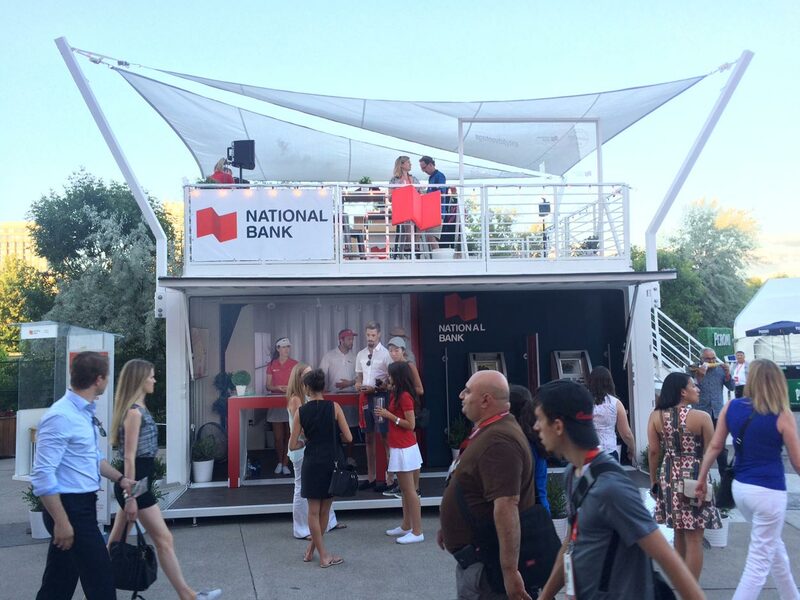 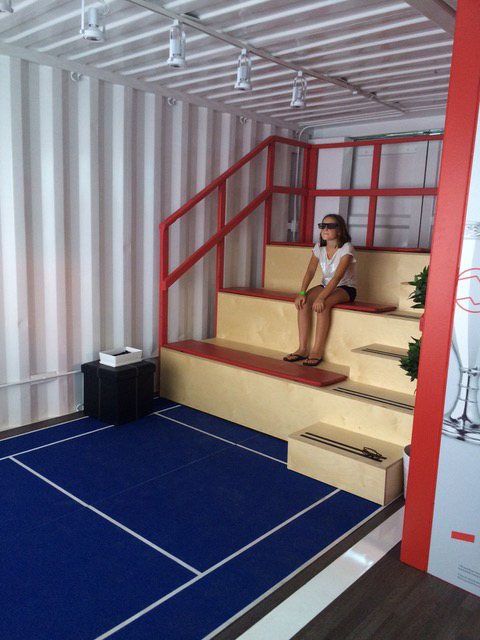 Loki’s logistical answer to the situation consisted of two totally unique VIP loge solutions, a BNC220 unit in Toronto and a BNC240 unit for Montreal, each of which will become the bank’s epicentre for brand activation for the tennis-loving public over the next three years in their respective cities. 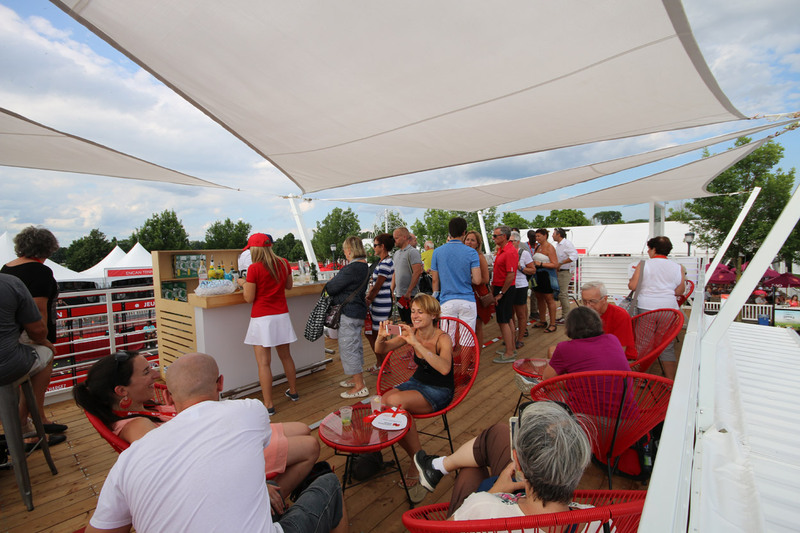 The standout feature of both units is the open, welcoming face they present to the public along with ample space to accommodate the throngs of visitors that frequent professional tennis tournaments. 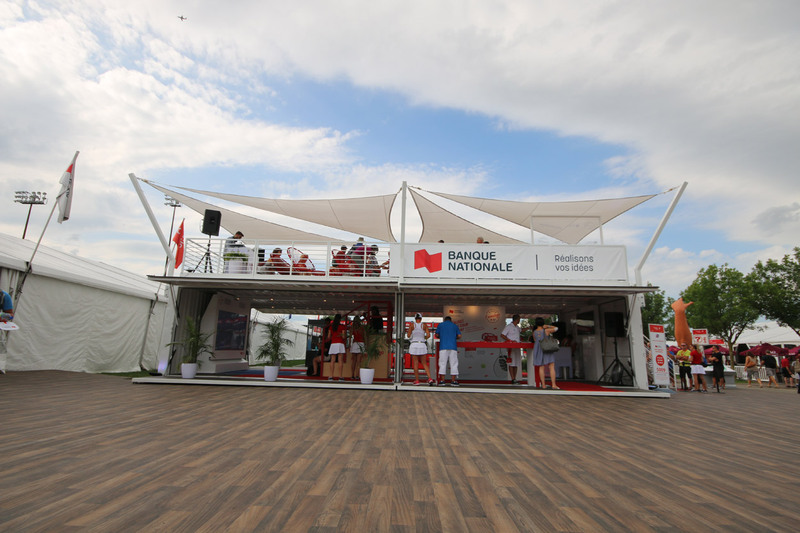 And while the units excel at delivering record numbers of brand impressions, the quality of those impressions is kept high with a rich activation offering: interactive games for the general public, star autograph sessions, live broadcasts, a photo booth and automatic teller service at the ready. 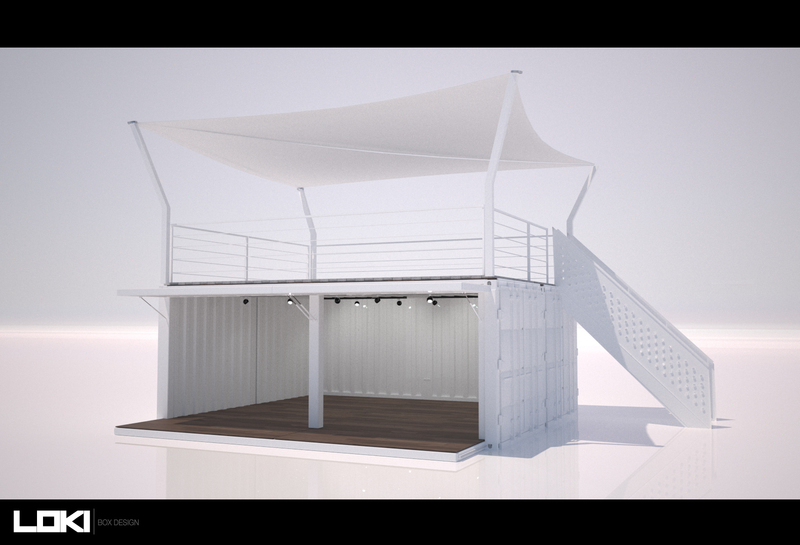 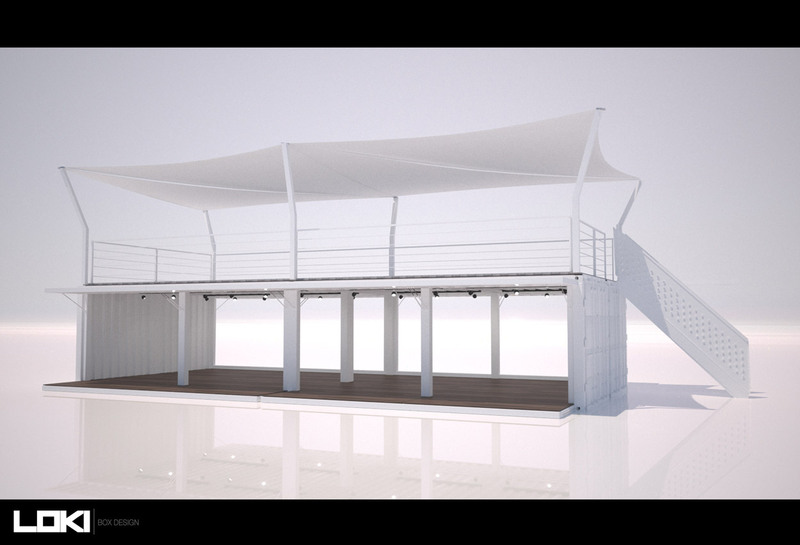 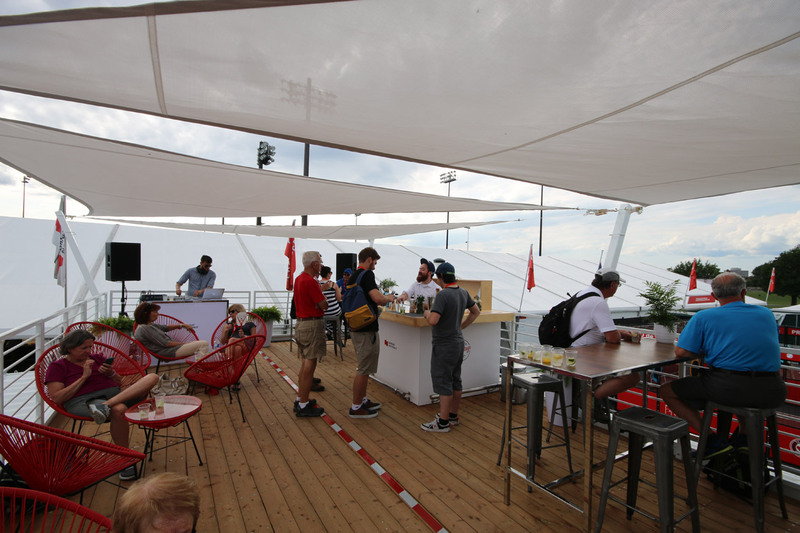 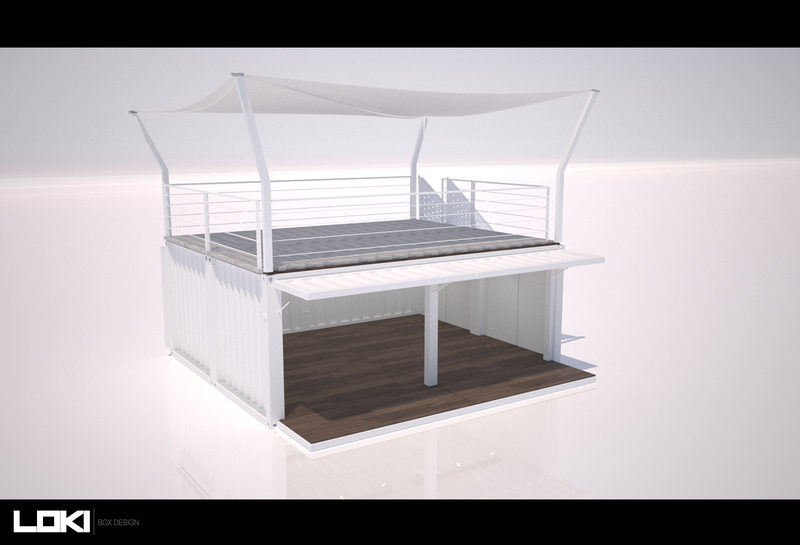 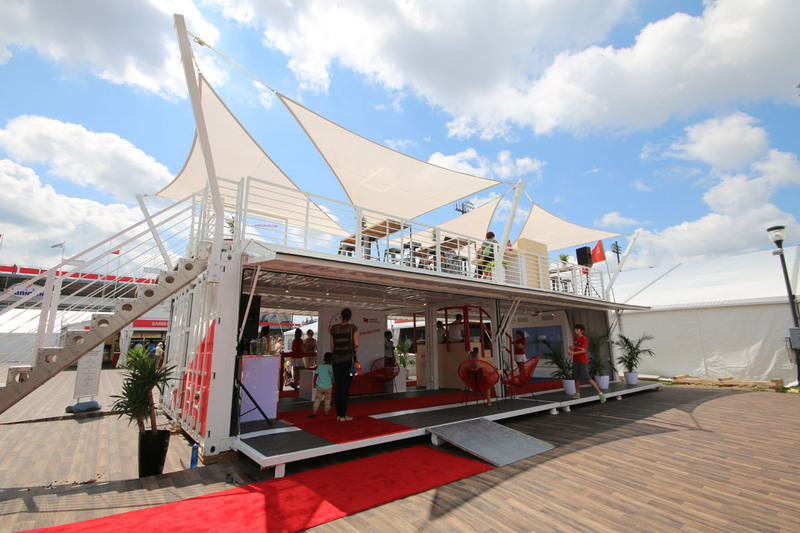 On the rooftop deck, the bank set up a VIP lounge with DJ and refreshment bar, all under the cool, protective covering of sunshades designed specifically for the occasion.